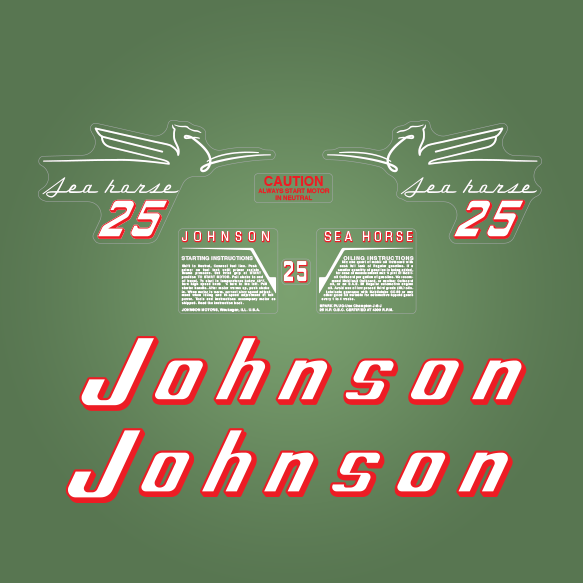 Johnson Decal Set Replica for 1954 Johnson 25 hp Outboard motor covers. 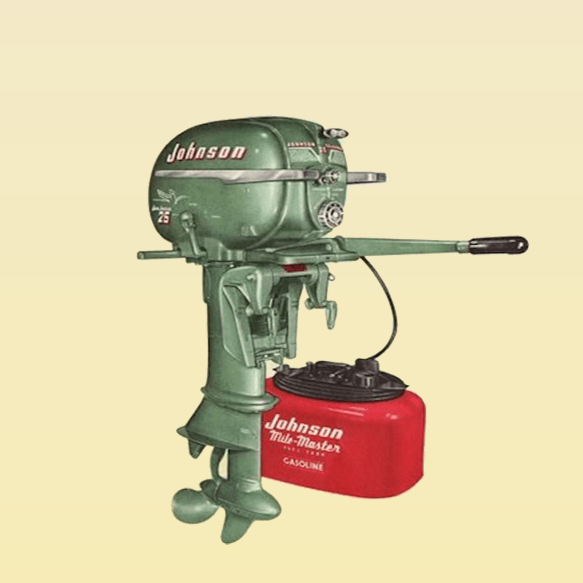 SPARK PLUG-Use Champion J-6-J 25 H.P. O.B.C. CERTIFIED AT 4000 R.P.M.